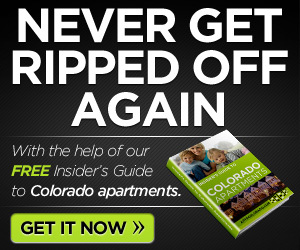 Looking for Colorado apartments that are close to fun? These 3 cities have more great attractions than the rest of the State put together. Pay these cities a visit and you won’t be able to leave. Dozens of natural springs with different flavors from varying mineral concentrations in each location. High adventure train that goes all the way to the top of Pikes Peak and an elevation of 14,110 feet. 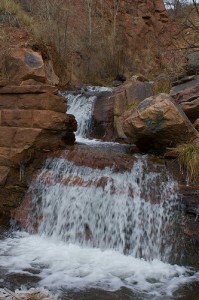 Cave of the Winds near the foot of Pikes Peak — open all year and features fantastic tours. Manitou Cliff Dwellings — prehistoric Indian ruins relocated from Mesa Verde in the early 1900s. Cheyenne Mountain Zoo — yes, a zoo in the mountains with breathtaking scenery. Even though Boulder is referred to as “25 square miles surrounded by reality,” and average apartments rent for $989 per month, this is a city worth every penny. Celestial Seasonings headquarters offers free tours of their specialty-tea factory. Try some samples, visit the herb garden, and have lunch in the café. The 40th Parallel North runs through Boulder and the Continental Divide is about 30 miles to the west. Major cosmic energy occurs where the two intersect. Butterfly Pavilion — technically in nearby Westminster, this zoo features a tropical rain forest conservatory with 1,600 free flying butterflies. 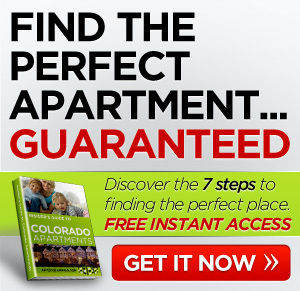 There are so many things to do in the Colorado capital, you’ll almost want to rent an apartment here no matter where you live, just so you can get away and enjoy yourself when you want. It’s certainly affordable enough, with average apartments renting for only $788 per month. The Denver Zoo is Colorado’s top cultural attraction and when you visit, it’s easy to see why. The animal shows and interactive exhibits are spectacular. U.S. Mint — you don’t have to be a coin collector to enjoy a tour of the mint. There is a lot to learn, plus fun activities for kids. Elitch Gardens is a big huge theme park with many awesome rides and activities. Water World is the largest water park in the United States. Open from Memorial Day – Labor Day. When you’re hunting for Colorado apartments, there’s no real reason to live in a boring place. These three cities have enough great attractions to keep you busy for years to come. How about you? Any luck finding Colorado apartments? Comment below.